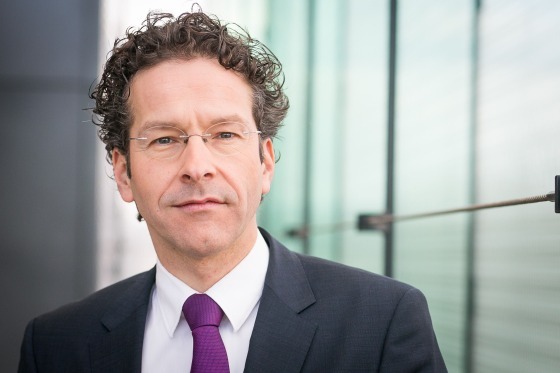 Executive pay at companies in which the government has a stake is being reined in, but private sector bonuses are on the up and this needs to change, writes finance minister Jeroen Dijsselbloem in Thursday’s Volkskrant. The cabinet is currently finalising its policy on purchasing power. Although the economy is doing better, purchasing power is still falling behind. Senior executive salaries, on the other hand, have been firmly on the up. In 2015 senior executive salaries at Dutch companies rose by 4.25% according to the Volkskrant’s annual analysis, a rise which the paper called ‘moderate’. It is telling that an increase of more than three times the average collectively-bargained pay rise of 1.4% should be labelled ‘moderate’. At the same time, the paper’s analysis showed that the policy of capping executive pay at companies in which the government has a stake is beginning to bear fruit. It is time the corporate world followed suit. There are three trends that can be distinguished in the development of executive salaries. Figures show that corporate bonuses are continuing to rise. A top executive’s annual bonus is now one and a half times his fixed salary. And although a majority of managers claim not to be motivated by bonuses, behavioural science tells us that big bonuses often invite doubtful decisions. Secondly, the total amount paid to executives continues to rise. Over the past 20 years, average executive pay more than doubled in relation to the minimum wage. And thirdly, senior executives in companies like Ahold, Heineken and Unilever are now earning over a hundred times the pay of the average worker. At times when the income of every citizen is under pressure, this kind of development cannot be justified and it is understandable that it has been widely criticised. It is one of the reasons the cabinet decided to take measures, including a 20% cap on bonuses in the financial sector. In line with this, we’ve made agreements about a similar cap on bonuses at companies in which the government has a stake. The maximum top executive wage in the public sector has been put at €179,000. Salaries in companies in which the government is shareholder have been lowered by an average of 28%. The move did not prompt a single top executive to leave. This spring, the Van Manen monitoring committee handed in a concept report on a new Corporate Governance Code. The report mentioned remuneration policy but had very little to say about public perception. The committee did not take a moral stance on the subject and the report hardly mentions any proposals to curb top executive pay to restore the balance with regard to workers’ pay. In my view this is a missed opportunity. There are plenty of ways of bringing corporate salaries into line with what would be considered acceptable. I will give the commission three examples. A good start would be to provide openness about companies’ remuneration schemes, which British companies already have in place and which will pass into law in the United States from next year. As a stakeholder I have asked the companies concerned to report on their remuneration schemes. Another solution could be to link the rise in top salaries to the rise agreed in the collective pay deal for ordinary staff, with a cap of 20% on bonuses. This is already happening in the financial sector and at companies in which the government has a stake. The public debate about this issue will not stop any time soon. On the contrary, the pay gap between what is seen as the elite and ordinary citizens is widening and people are angry about it. If we want to remain a united society, executives will have to realise what the consequences of that anger can be. It’s time for the corporate world to come into line, and I hope the Van Manen committee will help them do it. Translation by DutchNews.nl with the kind permission of the finance ministry. This translation has not been approved by the ministry.